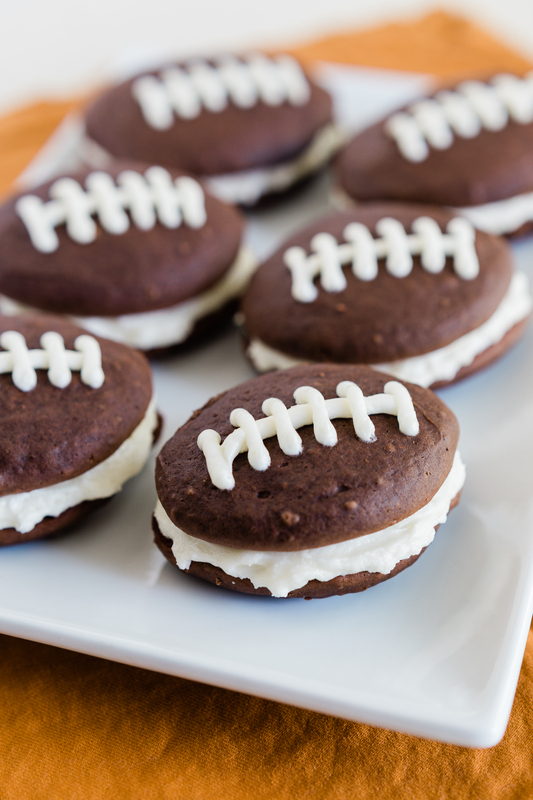 Whether your team wins or loses, these football whoopie pies are sure to win the tailgate. For the whoopie pies: Preheat oven to 350°. Add egg and vanilla, beating well until blended. In a bowl whisk together the flour, cocoa, salt, baking powder and baking soda. Slowly beat in the flour mixture, alternating with milk, until blended. 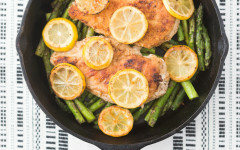 Using a cookie scoop, drop onto greased baking sheets. Then using a toothpick or butter knife to gently create points on either side of the circle, creating the shape of a football. Bake 10 to 12 minutes, or until firm. Cool on racks. 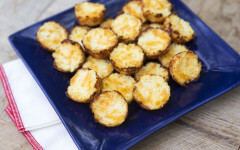 For the frosting: With an electric mixer on medium high speed, beat butter and cream cheese until fluffy, 2 to 3 minutes. Reduce speed to low. Add sugar 1 cup at a time, and then vanilla, mixing until smooth and combined, scraping down sides of bowl as needed. Assembly: Fill a piping bag with your cream cheese frosting. Flip one of your chocolate whoopie pies over so the bottom is facing up. Starting from the perimeter, frost your whoopie pie, working your way in, until the entire outer edge is frosted. Gently press the bottom side of another whoopie pie on top, creating a sandwich.